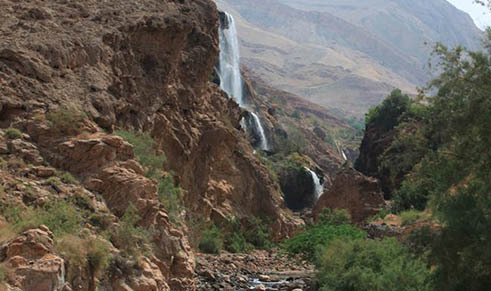 It is well known as one of the relaxing places in Jordan. Zarqa Ma’in (biblical Belemounta), 58 km south of Amman and 120 meters below sea level, is the thermal mineral hot springs and waterfalls, where Herod the Great was said to have bathed in its medicinal water, and where people have come for thermal treatments, or simply to enjoy a hot soak, since the days of Rome. It is now being restored and rebuilt as a comprehensive spa and natural clinic providing treatment for people with skin diseases, blood circulatory problems and bone, joints, back and muscular pains. With a 5-star hotel, leisure, bathing, and therapeutic facilities. 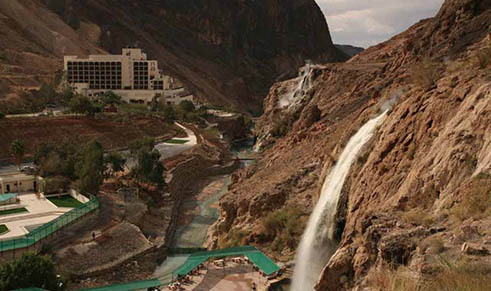 The area is famous for the hot springs and waterfalls, which are known for a wide range of therapeutic treatments.